We should start Pickers Anonymous. "Hi, My name is Kent. It's been 30 minutes since my last pick." We love your publication, and we tell other shops here to get listd. Thanks and happy pickin'! From the newspaper article "One of the things that made me fall madly in love with Hartselle (AL) is the many antique stores...It's appropriately listed on the official AlabamaAntiqueTrail.com map, which points out all the places you should visit in our state if antiquing is in your blood. Shortly after moving to Alabama, a good friend of mine and I began day trips all around the region. We would pick a town on the map and head out for a day of fun. It was a great way for me to learn my way around my new home of Alabama, and it was also a joy for her to discover places..."
Lori, Thanks for taking care of us while we were part of the Maine Antiques Trail. It was a very positive experience, and Iwill/would recommend it to others. I work with hundreds of customer srvices people with my industry (promotional products), and it is not often that someone goes above and beyond! Sad but true. Kay, thank you for going above and beyond - which made being part of your assocation so easy and painless! Congratulations on your success and the growth you have made in such a short time. Looking forward to Lamon Furniture and Antiques - Paducah KY being part of AntiqueTrail. All the BEST to each of you - May 2019 be a great year! I did a FB post for the town of Fitzgerald, GA, and all our members there and spoke a little about the historical nature of the town. I received a response from a customer asking if I was trying to sell the town! LOL So far 5500 peole reached with 53 shares. This is an example of what sharing and encouraging others to share can do for a business or town. I'm going on my yearly vacation, and I love taking you guys with me. I love it when you mail them because we don't travel by major highways if we don't have to. This year, can you please mail North and South Carolina, along with a new Florida and Georgia, please. Here is what we have done at our shop to promote AntiqueTrail at our front door. Hope you are doing well!! Can't believe how fast time is flying by, and that we are half way through the year already! Wanted to let you all know that sadly we are closing our shop, For Old Times Sake Antiques, in Wake Forest, NC. We have been open for right at 10 yers and it has ben fantastic, but I need to have some surgeries, and we are ready to move on. Thanks so much for the opportunity to be in The Antique Trail - it has been an honor! We wish you all the best and perhaps we will meet up again in the future! We have enjoyed being a part of the Antique Trail family, and wish you continued success. We have been proud to be included in such a professional publication, and have appreciated the "extras" such as the newsletter and website (ours and yours). Your customer service is top-notch as well...anyone I've ever spoken to has been friendly and helpful. Thanks for everything! I am searching for a vendor in Georgia who restores antique metal porch furniture. I have not found one in Georgia. I did find one in Mebane, NC - Big Oak Restoration...Thanks for your help. It's beautiful! Thanks so much. Now I will attempt to change out some pictures! Lori, Just signed up for coming year...Yea!!! We love the guide as do our customers...so thank you! It is with great pleasure to say that I have had the utmost professional service from Maine Antique Trail - from setting up our account to teaching me our new website with them! Lori is always there for me by phone or email to answer any of my questions. Prompt, professional, and a joy to work with...my experience has been awesome! Thanks so much, and we are glad to be back with you folks. We have always handed out your map even if we were not in it as our customers love them! I want to share a story with you about how someone found our business advertisement in Masachusetts Antique Trail. Our business, Great Road Vintage in Action, MA was discoverd in an antique shop in Portland, Maine by a couple from Action, MA who picked up a copy of your Antique Trail - Massachusetts, and scanned the map and found our business. They came into our shop a few days later and bought something, then told us how they discoverd our shop! I was really happy they found us and pleasantly surprised that our advertising is truly working. Thank you for your help in promoting our business! Thank you for mentioning our move from April to March for our Fair. You guys are great - thank you for finding us!! I'm in love with my website! You did a GREAT job! I'm so grateful. I'm excited to be a member of the Antique Trail family. Thanks you! We loved your maps...best anyone had! Thank you! You have a great service! Thanks! I just knew from the moment Marcia walked in my door that she was a good person! I just love her! Giver her a hug and kiss from me, and tell her that I will advertise with her for as long as I am in business! Customer are always impressed with our New Hampshire Antique Trail, thanks for all you do! Hey, Marcia - this is Judy at Brill's Antiques. I loved the flyers (new VirginiaAntiqueTrail.com map); they are beautiful. I am going to gell my friends who own shop in Yorktown about it. Thank You! Thanks again for speaking with me today. I really enjoyed getting to know more about your business. I wanted to let you know I called a few antique store owners to ask about Antiquetrail.com. My goal was to do some homework prior to recommending your services to my clients. I was very pleasantly surprised because everyone I spoke with gave very positive feedback. One shop owner said she received a good amount of traffic because of the trail. Another said you are the "best in the nation." One owner said she would make the investment for the brochures alone and loved the fact that participants actually help promote each other. I'm definitely going to recommend you to anyone I run across in the antique business who need more traffic to their website or brick and mortar shop. You are brilliant! Thank you SO much! Have a wonderful day! I use this website for all my trips! Thanks for the shountout, Antique Trail! We are honored to be mentioned amongst the finist antique stores in the country! Hello from the Northeast! I hope everyone there is enjoying their summer. Would it be possible to get another box of brochures? I have a small handful left and the tourists and locals love them. I make sure everyone knows where to shop before they leave our shop. Thanks so much! THANK YOU - looking so forward to your brochures! Online looks so good! I am so amazed at what Antique Trail - Marcia, Wendy, and all are doing for the antique businesses across the U.S. I would never have been able (capable) to have a website, gorgeous brochures, and all the advertisement that goes along with it for our business. It is so affordable and will be seen by so many people. Wendy and Marcia are fantastic people - very personalbe, helpful, and professional. I feel truly blessed that Wendy came into our store and talked with me about Antique Trail. Kudos to everyone associated with Antique Trail. I was recently in Pensacola, Florida and visited an antique shop with your Florida brochure, which I found very useful. My husband and I have collected antiques for over 30 years, own an 1835 Greek revival home, and I have been a member of the Owego Historic Preservation commission for over 15 years. Owego, NY is a small village in upstate New York with over 300 properties on the National register of Historic Places. I just ordered some brochures to aid us on our search for antique items for ourselves and other historic property owners - however, I did not see a brochure for New York or Virgina as being available to order despite my belief that they do exist. Could you dig around and find a New York and Virginia brochure for me? We travel all over our state, and we will be visiting virginina soon. Is it possible to have a couple of brochures mailed to me? I am trying to plan our vacation, and we went o plan our trip around antique malls/shops. I would be more than happy to pay for postage, but we'd love to have them ahead of time so we can map our trip. 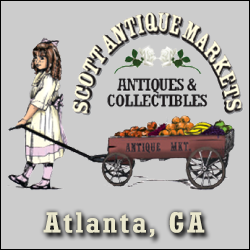 I did a google search for "antiques in N. C. and found your site. We are antique junkies and will be visiting Maine in early Sep. How can we get copy of the maps and websites for antiquing in Maine. I saw your ad in the Guide to Brimfield. Thank you again for all you and Pattie did to support the (Wilcox County, Al Historical Home) tour. Your putting it on AntiqueTrail.com certainly helped us bring in nearly 600 people on Saturday which is a record for our county. I love your brochure maps, and want one for the state of Maryland. We have the one for Florida, but would like to have copies of several of your antique trails for the trip from her in Illinois to Florida this spring. Customers are always impressed with our NewHampshireAntiqueTrail (map); thanks for all you do! Thank you SO much for the update...we appreciate your staying in tough and the extra consideration! It's a pleasure doing business with you! Just wanted to let you know about the power of advertising on AntiqueTrail.com. After our call to set up the Live Oak Antique Mall page on FloridaAntiqueTrail.com, I started snapping pictures. Within 5 minute of hanging up, my phone ran. A lady asked me if this was the Live Oak Antique Mall she saw on the internet and wanted to know what other things there wre to do in Live Oak as she was planning a day trip. Amazing!!! How quickly advertising with you worked. A win-win situration for you, our shop, and our community's other dealers. Thank you for developing such a great publication for antique guidance and for bringing it to New England - this has helped our business grow tremendously! Our customers are always grabbing one of these brochures! Thank you so much!! We have already had a call about our store from the website, and it's only been a few days since we joined! Awesome! Kay, I got in touch with Cindy at Sweet Pea and the folks at Antiques & Moore. They should get back in touch with you shortly. Thanks for all you do!! I'm calling to let you know that I got my new AntiqueTrail.com map. It looked absolutely wonderful...please have someone call me...” After we called, she wanted to be sure if we ever had to limit the size of brochure that she wanted to let us know now that she wanted in. Just wanted to let you know about the power of advertising on antique trail.com. After our call to set up the Live Oak Antique Mall page on Florida Antique Trail, I started snapping pictures. Within 5 minutes of hanging up, my phone rang. A lady asked me if this was the Live Oak Antique Mall she saw on the Internet and about what other things there were to do in Live Oak as she was planning a day trip. Amazing!!! How quickly advertising with you worked. A win-win situation for you, our shop and our community's other dealers. Lori, Thanks for getting us on FB and the website going again. Mike wants to know who you are........because you are terrific and really helping small businesses out. He can't believe all you do and so much above and beyond… we do realize just how important it (Social Media, internet) is for a business, no matter what size…The benefits you have helped us secure are going to help Searsport, the Midcoast, and Maine (besides us). Thanks for getting us on FB and the website going. Mike wants to know who you are....because you are terrific and really helping small business out. H can't believe all you do and so much above and beyond...you have helped Searsport, the midcoast, and Maine. Bruce/Marcia; Please let me know the renewal price for the year starting 2/1/17. I continue to enjoy the ease of using the website. Elana says that we are the best advertising that she has ever had. Thank you so much for putting back the website. It looks fantastic, and I want to expand more and use it to its MAX next year. I was looking over the pictures, and I sold so many of those items!!!! Yea! I was able to cancel the other website shopping cart and other expensive monthly charges associated. I'm glad to have the Antiquetrail.com site back!!! I will work on adding new pictures after the first. Yes Lori (I need more maps). I have just a handful left. People love them. Happy Holidays to you. Thank you for such a quick turnaround in getting us placed on the Antique Trail and getting us going. I do want you to know that LORI has been nothing short of brilliant in working with us at the Searsport Antique Mall. I retired from the University of Maine last year, and part of my position was marketing and advertising the Hutchinson Center. I have a sense of what good marketers are, and Lori is best of the best. Her skill and knowledge is state of the art and her people skills are welcoming and spot on! We might have decided to hesitate to become a member, but Lori had us sold at "hello". We just wanted you to know that you have chosen exceptionally well in having Lori on your staff. Kudos to you and kudos to her! We look forward to being part of "the Trail"
We get many contacts through the website you host for us and many people find out about us there. Thanks!!! As there have been no major formatting changes your approval is still valid, ship when ready! We love this guide! 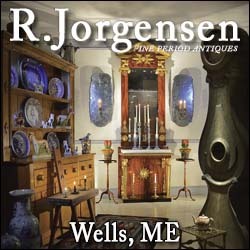 I'm proud to have my shop listed in the Vermont Antique Trail guide. I appreciate Lori's effort designing and photographing my web site and the ad in the brochure. The final product is beautiful and represents my shop well. I will continue to be a part of the Vermont Antique Trail. I love it!! Thank you! ...You do fast work! Our shop received the printed Antique Trail brochures yesterday when I was out. It was a treat to arrive today to see them. They are absolutely beautifully done… I’m certainly hoping, as I know you are as well, to see the spots on the map multiply over the next few years, but the benefit is that the “groupings” of shops in a particular local will have people feeling that the trip is worth their while. Thanks so much, Lori, for stopping in to introduce us to the effort to bring this marketing tool to Vermont. I received the maps yesterday; they look great! Our shop received the printed Antique Trail brochurs yesterday when I was out. It was a treat to arrive today to see them. They are absolutely beautifully done. I'm certainly hoping, as I know you are as well, to see the spots on the map multiply over the next few years...Thanks so much for stopping in to introduce us to the effort to bring this marketing tool to Vermont! Pattie, I love it!!! Thank you! Could you just add my husband as a contact person as well? Rodney and Leeann Greer? You do fast work! Again, thank you so much! THANKS for your help. It was a pleasure speaking with you. Kay, I love the website. It looks so good. You did a great job and we are very pleased. We had them (brochure/map) out left and right. Our customers are so appreciative & very impresed when we open the brochure & show them the map. This has been the best advertising that we have spend money on. Keep up the good work. I received the maps yesterday they look great! It has been a pleasure working with you Lori - very professional and considerate. Tell your boss I said so! We will not hesitate to get in touch if need be. Kay, Every shop owner I have talked to has really enjoyed talking to you. Good Job! I will have Pat check (to see if we need any more) on Tuesday. We hand them out left and right. Our customers are so appreciative & very impressed when we open the brochure & show them the map. This has been the best advertising that we have spent money on. Keep up the good work. Do you have everything you need from me to have our store show up in the new Florida Antique Trail Guide? PS - if you ever need a testimonial for the ease of using your website software, feel free to use me. Hi Marcia this is Betsy from Rocky Mountain quilts I got your brochures and I just want to tell you that I'm very pleased..."
We previously contacted you concerning antique trail directories on a trip to southeastern US and they were extremely helpful. 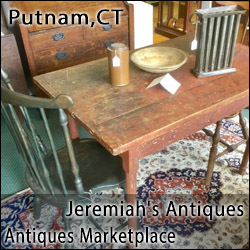 We are now planning an antique buying trip for the Spring early Summer to New England states. If you have any directories for the states of Vermont, New York, New Hampshire, Connecticut, Maine, Pennsylvania, Massachusetts we would appreciate receiving them. We will be traveling the I-81 corridor up to MA. Any help you can give will be appreciated. If you do not print these, can you tell me who does? I LOVE Antique Trail and recommend it to all the dealers that come in to buy from me telling them that they should be part of your "trail". I share the great benefits that are part of your site. Every customer that comes in leaves with a map to find their "something special" on the road! You and your staff should be applauded for your efforts. Let me start by saying what an excellent brochure for Georgia! And secondly let me introduce myself. I am the tourism director for the City of Fitzgerald and I found one of the Georgia brochures by accident. I’m not sure who or if you contact anyone local when you gather your information or not, but I would like to help if you ever need anyone for our area. Fitzgerald’s antique stores were well represented as you didn’t miss a one…I am truly impressed with this brochure and would like to receive possibly a box of these now, unless there’s another printing soon. I’m not sure whether this is done on a yearly basis or not. I would gladly pay for the shipping. We have lots of visitors in and out of our Welcome Center and would love to give them a copy when they visit. Again, let me commend you on this brochure. I’m sure it was quite and undertaking. Just a quick thank you. We're pleased with the website and how it connects with facebook. You certainly work fast. Thanks again. Pattie, Thank you so much it looks great! Antique Trail has been the best for the advertising dollar. We have had many customers come in to our shop because they saw us on the Antique Trail. When I give the brochure to my customer they are so happy. Thanks again for that you all do. You are FABULOUS!!!!! Have reviewed our new web site you created and I could not be happier. I have been wanting to have a web page for quite some time, but never knew how to began. Thank you for making it all possible so promptly and for doing an excellent job. Thanks again. Several customers have come into my store, saying they have come to Fayetteville due to the TennesseeAntiqueTrail.com. They googled antiques or antique stores in Fayetteville and were surprised at the whole list of stores… the website is already making a difference. This is exciting! Thank you for everything you do, and never hesitate to call me if you can use my help! We are so glad to see the new brochures…and proud to be included. Thank you Marcia! (The brochure) It's beautifully done…!!! Pierce Horton was very complimentary about the brochure; he also said that gentleman from Japan was in his shop that bought several items and he asked him how he knew about his shop and that he carried Japanese antiques. The man told him that he found him on TxAntiqueTrail.com. I will be traveling to Georgia in couple of weeks & I would like to receive an Antique Trail brochure for Alabama & Georgia. We would like to preplan some stops along the way. I looked you up on-line. I have picked up your brochures in other states like TX, AR, & TN. As a vendor at Miles Antique Mall, I enjoy the benefits of FloridaAntique Trail.com. 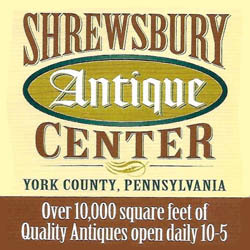 Friends and Fans of this page, if you have not done so--please check this out if you live and breath antiques. Marcia, I am Carol Dial, part owner of Glover's Station Antique Mall in Greensburg, Ky. I love our web site! Thank you so much. Proud to be a part of this group. Betty and Sara were great sales people. Just wanted to say thanks for the updating the picture for us. I received my brochures today, and they look great. I appreciate your going the extra mile. It has been a pleasure doing business with you; we have loved using the web page and being a part of the Tennessee Antique Trail…we have urged the new owners to continue with TennesseeAntiqueTrail.com; we think it is the best. Just wanted to let you know how very pleased we are with the AntiqueTrail.com trail brochures. I tell our customers to type in whatever state they are in because you are always adding new states to the list. They love driving down the road looking at their Ipad (passengers not drivers) and plotting their course. Best of all, our store looks amazing thru the cameras eye! I have requested Ga., S. Carolina, Al and TN (brochures for my store) so as they travel up the interstate in any direction, they always will have the perfect Trail. Keep up the good work. Thank You! One day on the site and we have already had a camera crew sent to us from Charleston. They will be here shortly. I will let you know how it goes! ….It was awesome. It is for a show called Southern Charm on Bravo. The couple is building a boutique in downtown Charleston and needed some things for their store…it was fun and we all had a good time. Thanks for all you do. Marcia, I am completely out of my first mailing of the South Carolina Brochures. Send more… People have picked them up like crazy. Thanks. … thank you for a wonderful start to my day this morning! It was a pleasure to meet you and hear about your company. I enjoy speaking with someone who has a love of antiques, history and community as I do. I checked out your web page, OMG! FABULOUS! You have an amazing business…I'm very impressed. I also liked you on Facebook so I can keep up with you. You service has been above and beyond! We received our brochures earlier this week. They look fantastic … we love our cover spot and thank you for the mentioning in the text about Cookeville’s square. We really appreciate all the hard work you do and just wanted to give you and Bruce a thumb’s up. Rodney just let me know that you called asking if we need some more of the Antique Trail Brochures. They went so fast is was crazy!!! I would LOVE for you to send us some more so that we can continue to pass them out. Many of our customers, being antique lovers "pickers", really appreciate these flyers because they provide so many great antiquing locations!!! Be sure to let us know when our ad is up for renewal. Greeneville Antique Market, TN commented on Antique Trail's post. "We are included in The Antique Trail- love it!" The Depot At Gibson Mill commented on Antique Trail's post. "Fantastic place to advertise....we love The Antique Trail!" Thank you. We enjoy visiting antique shops/malls in new areas. The Antique Trail brochures are a big part of our trips. They provide us with very valuable information. Hi, I’ve been using your antique trail brochures for the past three or four years. They are really handy. My husband and I travel around the southeast part of the country in an RV, and all we do is shop and buy antiques-mostly primitives. We like to go to the big shows in Nashville and others. But most of all we like to go to the shops. I was wondering if you could send me the brochures that I don’t have. I have LA, TN, FL, MS, & AL. I would like to have TX & OK as that will be my route home this summer. I would also like GA, SC, NC, & KY for next season. Thanks for the brochures! We have so many people in the shop during this time of year. With the upcoming Strawberry Festival visitors, too...I’m sure these will get into some serious antique buyers. Your brochure is beautiful! Would you please send one of the brochures about North Carolina antiques to me? The mailing address follows. Thank you. I found you on line when I googled for best NC antiques. Marcia, I just wanted to share a story with you of a customer who found my business from a picture (of a Hoosier cabinet) on AntiqueTrail.com. For several years she has been searching for a Hoosier, one she could actually use. While she was in my store looking at the Hoosier, out-of-the-blue she turned and looked on the floor and gasped. There in front of her was a toy oven exactly like the one she had lost in her childhood to hurricane waters. With teary eyes she said, "her father had put her little oven on the top shelf of her closet, promising her it would be safe." She said, "I've been looking for this oven for 40 years!" Her story was heartwarming, and she left the store with both the Hoosier and the oven. Could you please send over another box of Georgia Antique Trail brochures? We've been pleased that so many folks pick them up as they are browsing in our shop. We just returned from a trip through Tennessee, Virginia, NC & SC, Georgia, Mississippi, Alabama & Louisiana. We stopped at every State Information Place at each border and picked up one of your brochures. They are wonderful...Please keep printing the brochures! Marcia, I checked my info and it is correct. It looks fantastic. Because we are a "new member" we were anxious to receive our first batch of brochures! They arrived today and they are GREAT!! …Marcia, you have done a great job getting this concept up and going. I think it has turned into a labor of love...Hope to see you soon! Brenda, from Rustic Charm Vendor Gallery in Summit, MS here....I have to say, advertising with Antique Trail has been worth the money! I've had several customers from out of state that have found us through the website! Thank you for all your hard work! Where did your hear about us? We will mail this week. We have had 10 different customers come from brochures they picked up from Welcome (rest area) Stations. Love the North Carolina flyers. Marcia, Just received the flyers for North Carolina's Antique Trail. LOVE THEM!!!! Boone's Antiques, NC wrote: "Thank you Marcia, it was a pleasure meeting you and joining your community...Happy Trails!!!" Chelsea Antique Mall wrote: "This beautiful piece SOLD fast! It was in store less than 48 hrs (after AntiqueTrail FB shared). Thank you for sharing!" Thanks for all you do! The September sale sounds terrific. Just wanted to tell you we have had several sales from out of state people who saw our site. You did a great job with the photos and we sold several of the items photographed. We now feel that we need to change the photos to get maximum exposure. Please e-mail us directions on how we change the photos? If we can't do it from instructions, we will contact you and arrange a time that we may call you to walk us through the process. I loved using your map and brochure of shops in Georgia. It was fun to get off the interstate and find wonderful shops on the back roads. I'm looking forward to your coverage of shops in the mountains of North Carolina. Please send me two brochures to all states you represent. We love these brochures and plan our trips around antique shops. We love your brochure and people are using them! Mary Alice Davis Veale commented on Antique Trail's photo. Mary wrote: "Antique Attic in Dothan has been in business since 1969--44 years with 3 generations and 16,000 sq ft! … Lots of travelers tell me they benefit from the info in the Antique Trail brochure. Many thanks for your hard work, Marcia." Looks great! Thanks for all your hard work! I am thrilled to be on your wonderful brochure! I could use more flyers for the shop. They are going like hot cakes. Marcia. Just want you to know how proud I am of the huge success you've had and the tremendous number of states and stores you have added. I am very impressed. Great to hear from you. Stop by if you are in the area. We are beginning to get good results from the brochures. Several different groups of customers over the last two weeks have let us know that they have the brochure and found us that way. Please send two copies each of Antique Guides for Mississippi, Tennessee and Louisiana. Thanks again, Ann Jordan, Central MS Flea Market, Kosciusko, MS 39090. We are pleased with the antique trail. We also need more brochures. Please send me one Tennessee antique trail brochure. Thank you. It will be mailed this week. How did you find about us? I went to Google and entered antiques in TN. Marcia, the brochure looks grand! I am very thankful for your team's hard work. I am committed to working my site more in 2013. Thanks again for your diligence. Just wanted to let you that the Antique Trail truly works! A woman in Florida picked up a copy of the brochure on her way through Georgia, saw our shop, looked us up, and ordered two vintage Wizard of Oz books. She was thrilled to find a shop that specializes in the Oz series, and (needless to say) we were thrilled that she found us. Thank you Marcia and Bruce. Hope you are adding more stores/shops? How are you?! I have 2 success stories from this week alone about people picking up the brochure at Welcome Centers and finding their way to us! It is working! Thank you! Is it possible to receive more brochures? Our customers LOVE them! Just sharing with you that yesterday I had travelers that came into the store from seeing the ad on Alabama Antiques Trail found online...thanks so much…I know this was a right decision for the future of the store. I got the brochures you sent me a couple days ago and just wanted to say THANKS! They look great! I think it's something you can be very proud of and I am really glad to be an advertiser with you. I really love the site for the Tin Shed. Looks great! Who would have thought that such a casual conversation would turn into the most fantastic idea! When we first met (in my store), I remember your asking me what I thought about your idea for an antique trail. I was so excited to hear that you had come up with the same thing I was thinking (while we were talking). I could not write a check fast enough. Today, I hear comments from customers and travelers who found my shop using the information provided by your trail. This has far exceeded my expectations of success for you and for me and my business. Thank you for your effort and determination. I thank you from the bottom of my heart for all the business this has sent my way for such a nominal fee. I want to tell you I'm so happy with my website. When you two are back in this area come back and see me. Take care. You put my ad up on Wednesday, and I had customers in on Friday from Nashville who had seen us on the Antique Trail. Thank you! Thank you so much for getting Antiques & More on the Florida Antique Trail so fast! Sunday afternoon someone came in and mentioned they had found us on the Florida Antique Trail - they spent $350! We've had 2 other transactions that were tied to the web site! Thank you for sharing your story (On the Trail Again) about Sloan and his mules also the pictures of the homes and Dellrose Methodist church. I grew up in that church and Dellrose was my home for many years. We have services there the 1st and 2nd sun. Each month and we have services at Shiloh Methodist church on the 3rd & 4th Sun. at Shiloh. There is a beautiful cemetery at Shiloh . We would love for you to come at visit at any time. Services start at 8:30 and your husband is right; we have one (circuit rider). I am Sloan's wife and again thank you. The site looks great. The pictures are amazing. My store looks so inviting even I'd buy something from me! Again, I'm very impressed, thank-you for this opportunity. Thanks so much for your support of our store. You are the person that literally "put us on the map." Thank you. The promotion and the pictures really look great. I already had some compliments on the pictures. A lady saw our shop on the Alabama Antique Trail website and spotted the portrait that you posted for me on the page; she called and wants to buy it. So if anyone asks....YES< IT IS WORKING! Randy and I went to the beach last week and decided to use your website to do a little antiquing. It was great. Wonderful directions. Thanks for the guidance. I have been telling all my antique shop friends that it is the best $200.00 they will spend on advertisement! All the women in my family love to go antiquing, and this site will provide lots of help in mapping out future shopping trips! I look forward to checking back for updates and additions. I will definitely pass the word about your great site! War Eagle! "You are absolutely correct - - it is a GREAT website. Marcia has done an excellent job with it - - I loved reading her Fairhope journal. I have added this website to my favorites." I'm so excited! Our web site has only been up for a couple of days and a lady came into the shop yesterday and bought $180.00 of our silver...said she saw it on your web site! Yeah...I can be a walking advertisement for you!